Philips Hue Play Light Bar | Nerd Much? The amount of lighting we are exposed to plays a big part in how we feel. It’s vital. Having too little light can make us feel less energetic or even depressed, while having ample lighting can make us feel uplifted or brighten our day. 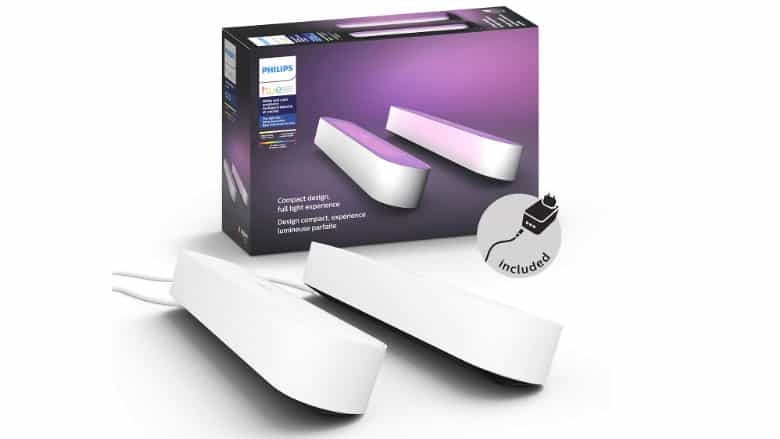 Electronics company Philips has recently released their new Hue Play light bar system, and it gives users the ability to set their lighting preference to create the perfect ambiance. All from the convenience of the Philips Hue app, users can control the lighting around them. There are 16 million colors to choose from on the app’s color palette (pretty much the standard here in 2019 with smart LED lighting, but worth a mention, regardless). Interestingly, but not surprisingly, users can set up individual lighting preferences for rooms based on pre-defined settings. For example, I could have my kitchen programmed for the “Relax” setting, which creates a soft, Zen-like orange glowing ambiance. The coolest feature, in my opinion, is that the Philips Hue Play light bars are compatible with hands-free technologies such as Alexa, Google Assistant, Apple HomeKit, and Microsoft Cortana. “Hey Google, dim Bedroom to 25 percent.” There are so many other options and settings to choose from, and you can connect it to IFTTT to get even more use out of it. At $59.99, you get one Hue Play light bar; each bar measures 10 inches in length and weighs approximately 1.5 pounds. It also has a power supply unit that allows for the expansion of a second bar. Stand the bars upright, lay them down horizontally, or even mount them in that perfectly concealed nook in the laundry room. Indeed, the concept is fun—perhaps even enlightening. But while brightness can easily be lowered or increased, I do find any additional lighting (especially around a TV or monitor) to be rather distracting. I suppose I’ll just have to see for myself. Want to check out more cool gadgets? Stay tuned to our Cool Stuff section for more.